Have you always been curious about hybrid vehicles, but believed they were too expensive or impractical? If so, you certainly haven't explored Toyota's all- Prius. Beyond its well-documented fuel-sipping abilities, the all- Prius offers a unique exterior design that contains a versatile cargo area and high-tech features inside. It is clear that the latest version of the iconic Prius is still the hybrid to beat! Lipton Toyota invites drivers nearHollywood, Deerfield Beach, and & Weston to visit our showroom for a test drive of Toyota's all-new Prius. How does the 2016 Toyota Prius compare to BMW's i3 hybrid? See below! While both of these advanced hybrid vehicles feature stunning technology and impressive fuel efficiency, their prices put them almost in two different segments. 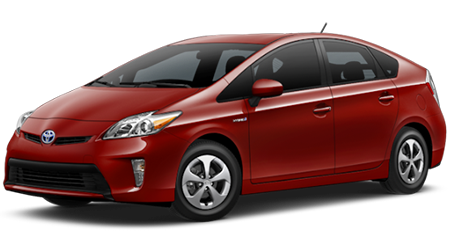 The 2016 Toyota Prius can be had at a starting price of $25,035 -- a great value for such a fuel-efficient vehicle. Compare that to the BMW i3's hefty starting price of $43,395, and you begin to see how any possible fuel cost savings in the BMW i3 will be eaten up by the much higher vehicle price. The smart choice is to save nearly $20,000 of your hard-earned money and drive the world's best-selling hybrid, the Toyota Prius. What good is a highly fuel-efficient vehicle if it isn't practical for daily use? With a standard cargo capacity that is larger than any mid-size sedan, the 2016 Prius is plenty versatile as a daily driver. 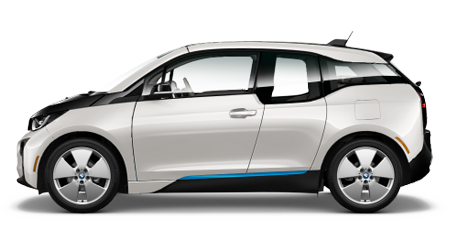 The much shorter BMW i3 gets penalized for usability, as its cargo capacity is 6.5 cubic feet less than what the Prius provides. When you want to drive an affordable and highly fuel-efficient hybrid that provides the versatility necessary for everyday life, get into a 2016 Toyota Prius. Lipton Toyota proudly serves residents near Hollywood, Deerfield Beach, and & Weston. Visit our showroom at 1700 W Oakland Park Blvd, in Ft. Lauderdale, FL.